Polished and natural specimens from the Yorkshire Coast. 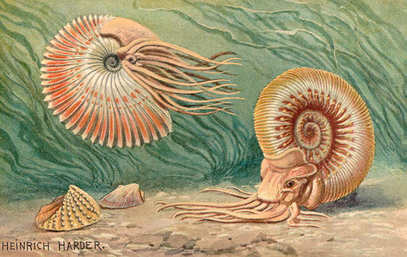 Whitby ammonites are usually dated to around 178 Million years old. Often called Snakestones in this neck of the woods, they are part of legend and history. The legend tells of a plague of snakes which Saint Hilda turned to stone, explaining the presence of the huge number of ammonite fossils on the shore; heads were carved onto these 'petrified snakes' to honour the legend. It was a custom for many years, for local artists to carve snakes' heads onto ammonite fossils, and sell these relics as proof or her miracles.